According to a report from Statista, LED lights will have more than 60% of the global lighting market by 2020. The same report states that LED luminaires can last 25 times longer than a traditional incandescent bulb – while using 75 percent less energy. That’s as if you turned on the light in an infant’s room, and didn’t replace it until their college graduation. of the most reliable and trusted experts in the world. Claims of 30,000 to 60,000 working hours, energy efficiency and longer replacement cycles are key selling points in the LED luminaire market. CSA Group can help you verify those important claims with confidence. 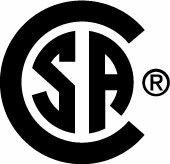 CSA Group is a global expert in solid state lighting measurements. Our LM-79 testing services are recognized by the U.S. Department of Energy’s CALiPER program, the Environmental Protection Agency’s ENERGY STAR® program, and we are accredited to provide test and measurement under ISO 17025. Organizations across the world count on CSA Group’s LM-80-15 lumen maintenance testing expertise to measure luminous, radiant, and photon flux, color, dominant wavelength, chromaticity, and correlated color temperature (CCT), controlled to a variety of currents and LED case temperatures. We can validate critical product lifetime claims through LM-80-15 testing, especially the updated ENERGY STAR guidelines – including IESNA TM-21 (Technical Memorandum). We offer expert services and custom solutions that help speed your product to market while helping ensure compliance.